We are always looking to purchase cars, similar to those vehicles currently offered. We require interesting or unique classics of quality, with history, or just in exceptional condition. We are very reliable buyers, offering quick hassle-free transactions with quick payment. If preferred, we will take commission sales where the vendor is happy to retain ownership for a slightly longer period, in the hope of maximising their return. 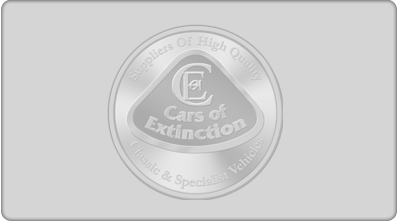 If you have anything which you believe would be of interest to Cars Of Extinction, then do please contact us!